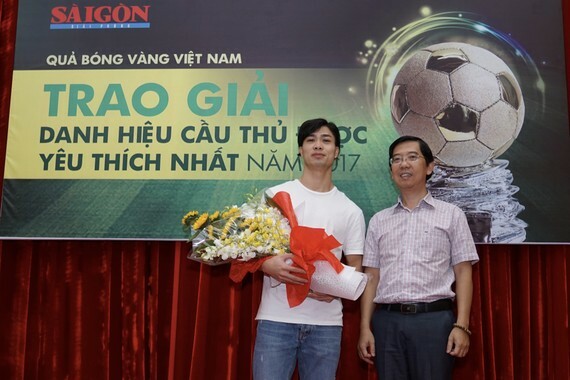 Striker Nguyen Cong Phuong of Hoang Anh- Gia Lai FC visited Sai Gon Giai Phong Newspaper and received the title of “The Most Favorite Player” from the organization board of Vietnamese Golden Ball 2017 at a head office of Sai Gon Giai Phong Newspaper this morning. 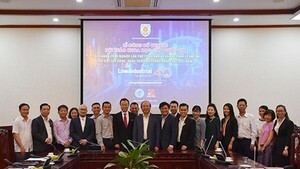 Accordingly, Cong Phuong did not attend in Vietnam Golden Ball Awards Gala 2017 held on January 2 because he and members of the Vietnam U23 footballers flied to China in order to participate in the finals of the AFC Under 23 Championship. 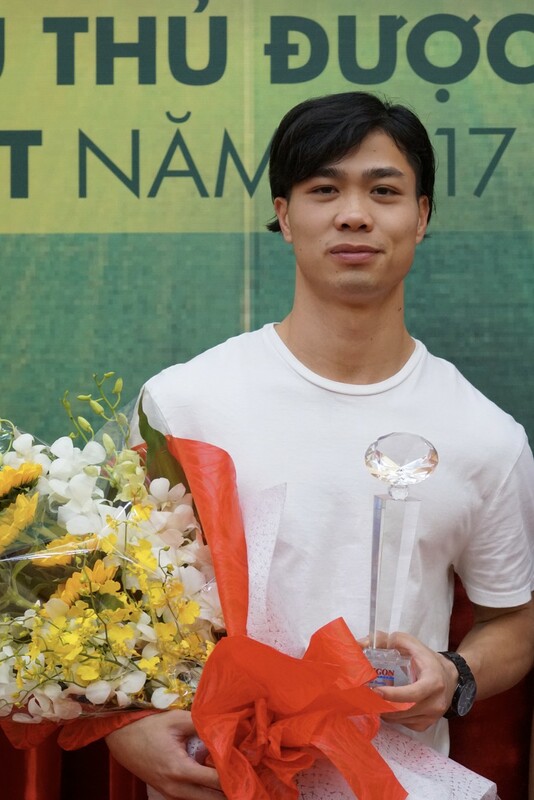 The most favorite player title is considered one of important categories of the Vietnamese Golden Ball Awards voted by football fans and experts via messages, aiming to honor achievements as well as the best performances of Vietnamese footballer during a year.